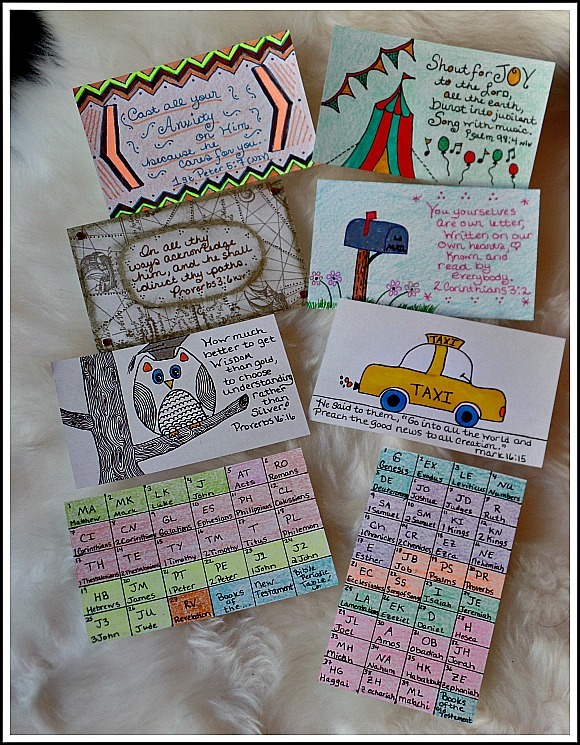 Last week I was catching up reading some of my favorite blogs, and over at Rustic Pumpkin's Garden in the Shire blog I read about this wonderful sounding summer art project called ICAD, short for Index Card A Day. 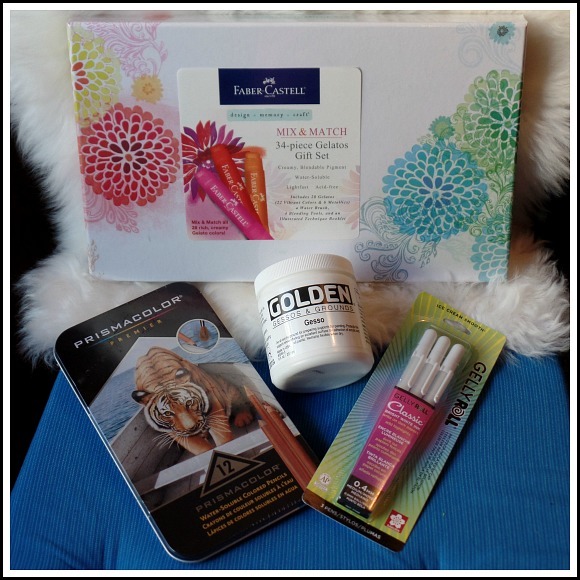 After visiting the ICAD website, and reading about what it was all about, I decided that it would be such a fun art project for summer. So I got out my art supplies, and a stack of index cards (I love index cards and always keep a large supply, they are so useful), and got started working on my first card. Here is my first week of completed cards. The wonderful thing about the ICAD project are the lists of prompts, there are weekly themes suggesting what medium you work with, and daily prompts to help get your creativity flowing, however the prompts are only there if you want to use them, you can do whatever you like as long as its on an index card. The project goes on for 9 weeks starting June 1st, but you can jump in anytime and join the fun, sharing your daily work each day on the Facebook page and Instagram #icad2015. The first week's theme was drawing and doodling with ink, markers and pens. The first day's prompt was chevron. I love chevron patterns, so I thought this was a fun one to start with. 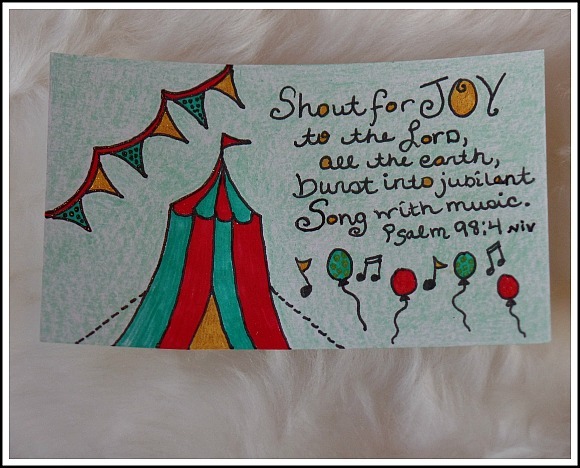 Then, I had the idea to add a verse to my card each day as sort of an added challenge, and because I have really been wanting to do bible study and verse memorization along with art journaling. 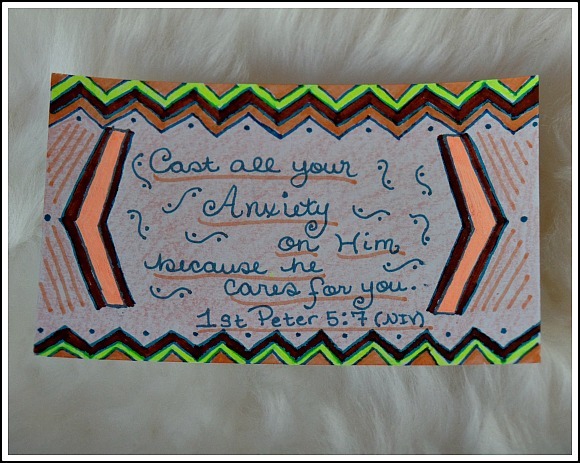 For my first card I doodled chevron patterns with gel pens and Pentel markers, with a crayon background, and chose one of my favorite verses to kick of my set of cards. Day three's prompt was Map, and I decided to get out my stamps and ink along with oil pastels which I used to blend over the background. I have had this map stamp for almost a decade and have always wanted to use it but never had a project for it, so I was glad to finally use it! 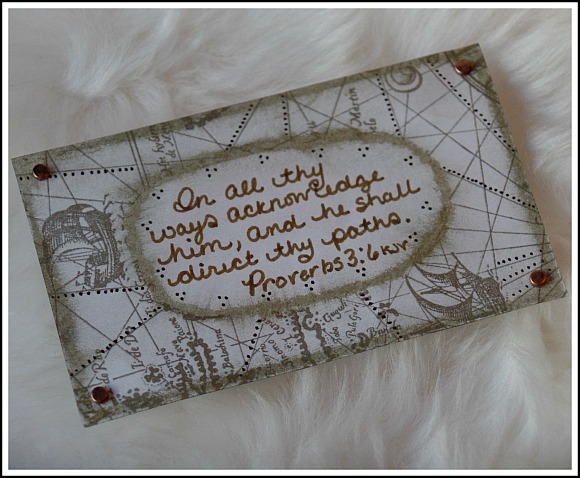 I added dots to accent some of the map lines with Pentel markers and embellished with copper mini brads. 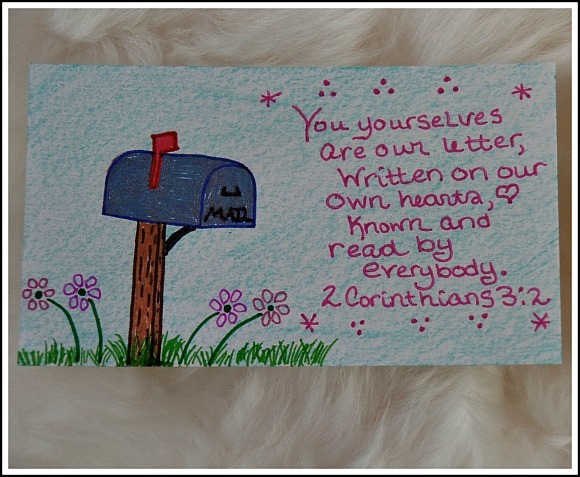 Day 4's prompt was mailbox, I had a hard time at first finding a matching verse, but them I found the perfect one, and was really happy how it turned out. 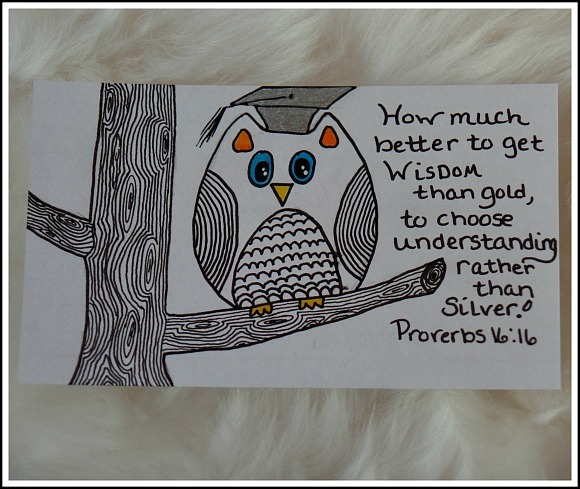 Day 5's prompt was Owl, and since this weekend was my son's graduation I had to put a grad cap on the owl! :) For this card I used micron pens. Earlier in the week I got out my old micron pens only to find out they had been used for one too many of the kids' school projects, so along with some other supplies I picked up a new basic set of micron pens. How nice it was to work with fresh pens! For the color I used Gelly Roll Glaze pens, another new pen I kept hearing about. The ink dries shiny and they go on wonderfully! The last day of the week, Day 7's prompt was Periodic Table, I was really struggling to find a matching verse, and I wasn't sure what I wanted to do. Then I thought it would be fitting, since I am a Sunday School teacher, and am always working on memorizing the books of the Bible in order ( I have the Old Testament down because of a great song, but have yet to find a catchy New Testement song that sticks in my head), anyway, I thought they would be perfect as a Periodic Table, I did one for each the Old and New Testament. I color coded the books based on their category, such as history, major and minor prophets, the Gospels, etc. , I really like how they turned out, it was fun making them. So that was the end of week one. I have had so much fun doing a little art every day, it keeps you thinking, and really helps one exercise new techniques and practice. The other major benefit is seeing everyone else's work, there are so many different art styles, there are people with all different art experience levels, I am learning a ton more than I ever would just practicing art by myself. I have learned so much this week about different art mediums I never knew about, and I have been spending free time watching different techniques on YouTube tutorials. Next week's theme is Painting! Gouache (which I had never heard about before), watercolor, acrylics, and water color pencils. Since I've been learning about new supplies I picked up some new ones to try this week, Prismacolor Watercolor pencils, which I just started using today, a product I just learned about this week called Gelatos, which I am super excited to try, some Gesso to prep the surface of some of my cards, and some white Gelly Roll Pens for accenting. Are you posting on INSTAGRAM? I think I saw your mailbox! Wonderful April! 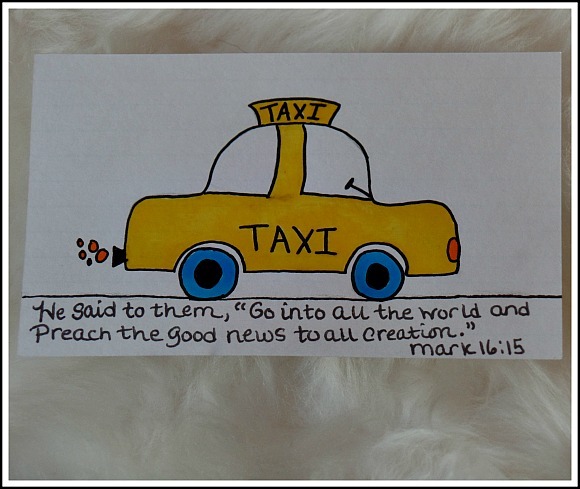 It's a great way to memorize Bible verses, too. I'll have to copy your idea for the periodical tables for the NT and OT, especially the Old Testament, which I can never seem to remember half way through! Have a great week ahead! I'm so pleased you have joined in and I love your cards. It is great fun, although a little more time consuming than I first thought. Love seeing all your interpretations, and I think I've missed some on the FB page but there are so many up there now! 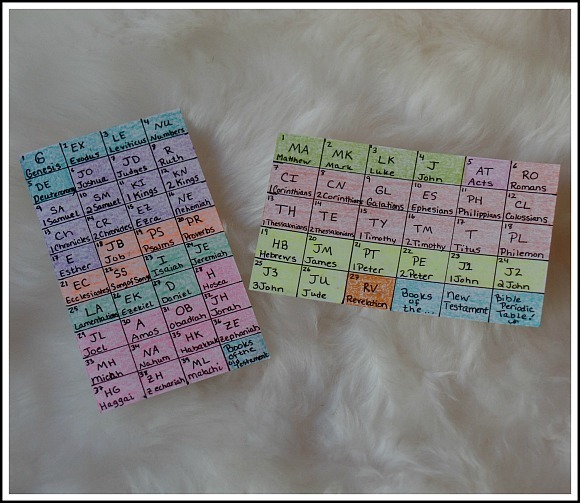 Love these...such a great idea!